Six riders set out for Froghall as most of the club had set out early in order to be back in time to see two groups of people kick a inflated ball of air between six bits of wood, I am told this is very important so hopefully they enjoyed the six-one win. We set out down Mill street before turning off for Abbey Green and Meerbrook and Little Thornclife. The ride along Mooridge was taken at a relaxed pace for a change and all were able to enjoy the view. 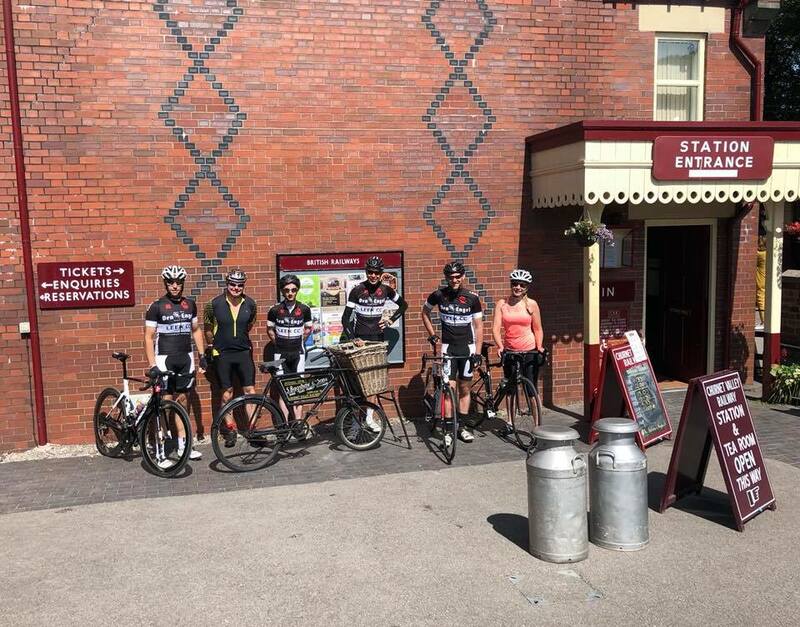 We dropped in to Bottom House and along Ipstones Edge where we met riders from Bolton Cycle Club who joined us on the steep descent in to froghall and the cafe. We sat outside and enjoyed Coffee and cake. It was decided to head back via Kingsley where Aide H left us to head back by a more direct route. We passed by the local Bird Sanctuary and headed to Kingsley Moor and Cellarhead before turning for Bagnall and Stanley. We reached the busy main road at Endon and turned off for Rudyard before reaching Abbey Green once again where we pulled over for a chat at ten to one after a thirty five mile ride along some new lanes around the Moorlands which was much commented on. Thanks to Jamie J for leading the ride. This entry was posted in LeekCC by Admin@LeekCC. Bookmark the permalink.